The Central Committee of the Communisty Party of Greece (KKE) honors the 100th year anniversary marking the founding of the Communist International (CI) ( 2 – 6 March, 1919). It recognizes its contribution to the international workers' and communist movement, while underlining the need to derive important lessons from the experience accumulated from its action. The CI, progeny of the victory of the October Socialist Revolution in Russia (1917), answered to the need for coordination and unity in the international revolutionary workers' movement. The contribution of the CI was important in the support and the strengthening of the Communist Parties on a worldwide scale, its internationalist selfless solidarity towards the struggling and oppressed peoples, such as that which it offered with the formation of the “International Brigades” at the side of the Republican Army of Spain ( 1936 – 1938 ) . 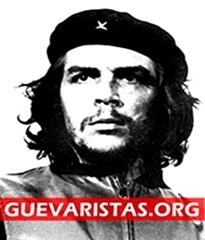 The CI provided multi-faceted support towards persecuted militants throughout the world, carrying out publishing – educational actions, organizing schools for cadre on the revolutionary theory of Marxism – Leninism, and operating a network for political information sharing, also including journalists . The problems and conflicts in the strategics of the CI that had a negative influence on all of the Communist Parties – members, do not negate its contribution to the International Communist Movement. The legacy of the CI, the study of its experience, are valuable today for the regroupment of the International Communist Movement, for the creation of a unified revolutionary strategy against capitalist power. 1. Karl Marx and Fredrick Engels as far back as the period of bourgeois revolution highlighted the historic role of the working class as the “gravedigger of capitalism” and the internationalist character of its struggle. They scientifically established the necessity and the possibility of a workers' communist revolution and set as a necessary prerequisite for its victory, the international organization of the revolutionary movement. They took up the issue of linking the struggle of the working class to take power, with the war that was being waged by the bourgeois states among themselves for the divvying up of the markets and the sources of raw materials. Marx-Engels led the way in the founding of the International Workingmen's Association or the First International that was formed on 28th of September, 1864 by workers' trade unions, mutual support societies, political and cultural groups, and conspiratorial organizations. The First International was founded as an international organization with sections and poles in different countries. It issued an appeal for international solidarity towards workers, warning the working class, especially the German and French workers about the danger of a French-German war that could turn into a war of annexation. The inaugural Address of the First International, inspired by the Communist Manifesto, constituted an important document in the struggles and the general prospects of the working class. Throughout all of the course of the 1st International , Marx-Engels led the theoretical struggle against petty-bourgeois and other conceptions, that distanced the working class from exercising its independent role. They fought against opportunism, Bakunism, Lassallism and British labourism. Independently of the problems of ideological diversity, as well as the fact that its Organizations had not adopted scientific socialism, the 1stInternational contributed to the strengthening of labor actions at a national and international level, to the development of the political character of their actions. It provided an impetus to the realization of the need for the creation of workers' political parties. Its dissolution (1876) was the result of its inability to fulfill its role under conditions with new demands that became evident after the defeat of the Paris Commune (1871), during a period in which capitalism was passing into its highest and final stage, imperialism. 2. 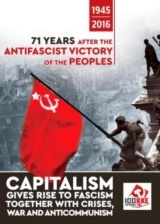 The 2nd International was formed on 14th July, 1889 in Paris, 100 years after the outbreak of the bourgeois French Revolution and the fall of the Bastille, in a period of rapid development and expansion of the global capitalist system, with the formation of monopoly and finance capital as well as the fervent development of the trade union movement. It was mainly based on parties that were formed from the older associations and groups of the 1st International , in which – despite the fact that Marxism had become the dominant current in the labor movement – reformist, anarcho-syndicalist and other opportunist forces had an influence. Most of the parties were weak, both organizationally and ideologically – politically and were under pressure to restrict their action within the framework of bourgeois legality. In the end, the predominance of reformism within the parties of the 2nd International had material support from the channels of the developed capitalist societies of the West, to the extent that the exploitation of their colonies gave them the possibility of granting concessions to the working class in order to create an extensive labor aristocracy. The 2nd International did not function as an international revolutionary center since it did not constitute a unitary guiding body, nor had a joint Program and Statute, nor did it issue a journal of sorts, while the Decisions of the Congresses were not binding for any national party. 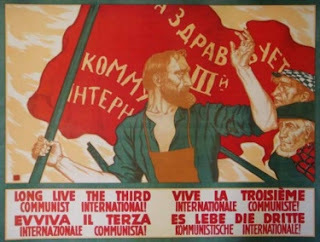 The 2nd International (1916) was dissolved because of the predominance of opportunist deviations that led to the betrayal of the interests of the working class in favor of the bourgeois class in the First World Imperialist War. Most of the leaders of the 2nd International found themselves in opposing imperialist camps, some of them became war ministers. Their betrayal was not a bolt from the blue, but the result of a reformist line and their collaboration with the ruling class during peacetime and “the defence of the bourgeois homeland” during the period of war. Reformism gave rise to social chauvinism. A shining exception were the Bolsheviks of Russia under the leadership of V.I. 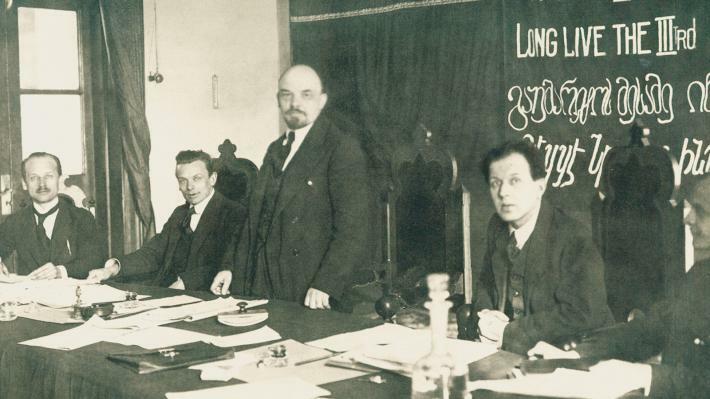 Lenin, the Internationalists – Spartacus of Germany (Karl Liebknecht, Rosa Luxemburg, Frantz Mehring etc) and some Balkan socialists. 3. The 1st World War accelerated the process of transforming the social democratic parties into bourgeois counter-revolutionary parties. The victorious October Socialist Revolution in Russia in 1917, confirmed the potential of the working class to take power in its hands through revolution. It put on the agenda once again the need to form a unified global revolutionary center with revolutionary principles and an organizational structure, based on the theory of Marx-Engels and the experience of the October Revolution. Lenin led the struggle for the creation of this center. He put forward the issue of changing the Programs of the workers' parties, of their renaming themselves as Communist Parties and the need to found a new International. The CI was founded under conditions of a rise in the revolutionary movement in Europe that was expressed mainly through labor uprisings in Finland (1918), in Germany ( 1918 – 1923) and in Hungary (1919 ), as well as through the action of vanguard workers all over the world, with strikes, protests and the boycotting of war supplies transport against the imperialist intervention of 14 states in revolutionary Russia. 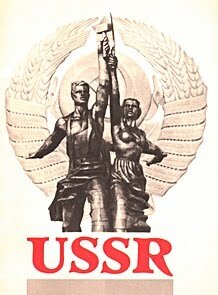 The CI provided an important impetus to the founding of Communist Parties, independently of the fact that those, even though they adopted its proclamations, had not yet acquired the ideological – political maturity to formulate a scientifically elaborated Program and corresponding strategy. 4. At the 1st Founding Congress of the CI, 52 delegates from 35 Organizations, 31 countries of Europe, of America and Asia too part, while some delegates did not even manage to reach the Congress because they had been arrested by bourgeois governments. With the founding of the CI, the split that had taken place in a series of social democratic parties was made official at an international and national level. The Platform of the Congress stated: “A new epoch is born! The epoch of the dissolution of capitalism, of its inner disintegration. The epoch of the communist revolution of the proletariat..” The Programmatic Platform of the CI projected the dictatorship of the proletariat, challenged bourgeois democracy as a form of dictatorship of capital, created a Manifesto for the international proletariat. In November of 2019 the Young Communist Internationalwas founded in Berlin to unite the revolutionary forces of the youth based on the general line of the CI, setting forth demands for education, living and working conditions for youth and the struggle against militarism. In January 1920, the Balkan Communist Federation (BCF) was founded as a unified center of Balkan CPs of which the first Resolution was its affiliation with the CI. The Communist International had to struggle against the influence of social democracy on the labor movement. During its exit from the war, the bourgeois command and the opportunist forces adapted themselves with the result that pacifism predominated in their propaganda in contrast to the need for the working class to struggle for the conquest of power. The 2nd International was re-founded on this base, while following the founding of the Third International, the so-called Two-and-a-half International functioned for a few years, in which the so-called 'left' social democracy operated. Both of these organizations continued to have influence in the labor movement, also aided by bourgeois governments. At an international level they struggled against Soviet power. Simultaneously, the 2nd and Two-and-a-half International operated in the Labor International in Amsterdam which was supported by the International Labor Office, organ of the imperialist League of Nations, with the goal of promoting the necessary bourgeois adaptations and class collaboration. A Congress document of great importance was the text with the 21 Conditions of Admission to the CI, which were presented by Lenin, criticizing the opportunists and the vacillating delegates at the Congress who supported that Bolshevism was an exclusively Russian phenomenon. It showed that it had universal relevance, which did not contradict the estimation of any national peculiarities. The most important of the 21 conditions was the cleansing of parties from social democratic and other reformist elements, the acceptance of the principle of democratic centralism within each party and in the CI, the expulsion of those who disagreed with the positions of the CI, the condemnation of social-pacifism and social chauvinism and by extension, of colonialism. 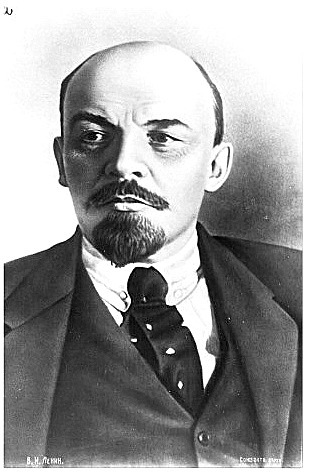 Lenin, in his essential work “Left-Wing” Communism, an Infantile Disorder, fought against the sectarianism that dismissed the necessity of combining all forms of struggle, including parliamentary and non- parliamentary mass struggle. However, the necessary struggle against this form of deviation was utilized by right opportunism in order to strengthen itself inside the ranks of parties of the CI. In conjunction with the proceedings of the 2nd ( and later the 3rd) Congress of the CI, International Meetings of the women delegates were held on specialized work among women. The International secretariat of Women was headquartered in Moscow with Clara Zetkin as its head. 6. The 3rd Congress of the CI (Moscow, 22 June – 12 July 1921 ) attempted to improve the action of communists among the politically immature working class forces, as the majority of organized workers remained entrapped in the social democratic parties, while in some, a sharp ideological struggle raged internally, such as in Germany and Italy. The revolutionary uprisings in Finland, Germany and Hungary constituted historic events of great importance. The fact however that they did not have a victorious outcome led to a negative change in the correlation of forces. At the same time, bourgeois power was stabilized with the result that the issue “reform or revolution” was projected as the central element of the ideological struggle within the ranks of the revolutionary labor movement. The pressure exercised by the powerful influence of social democracy in the labor movement, where communists had a weak presence due to persecution, their being blocked from workplaces and the general reactionary propaganda on “decommunization” of the trade unions, also had a contribution. The 3rd Congress launched the slogan “To the masses” and its line “United Front of the Workers” that would foster the common action of workers under non-revolutionary conditions that were being influenced by different political and labor organizations. The most basic problem was that under the new, non-revolutionary conditions, the teachings of the revolutionary line of struggle of the Soviet, as experience, was not utilized. Then, from February till October 1917, in order to gain the majority in the Soviet there was a powerful ideological front against the Mensheviks, opportunists who were in the minority already before 1917 in the Russian Social Democratic Workers Party (RSDRP). During the 3rd Congress of the CI, the Red International of Labor Unions (Profintern) was founded ( July 3 1921) with the participation of 220 labor delegates from all over the world that aimed at the regroupment of the trade union movement in a revolutionary line of struggle. The labor organizations that affiliated with Profintern (either directly or as sympathizer unions, or as minority movements ) numbered around 17, 000, 000 members. Profintern ceased its action at the end of 1937, however, it had essentially stopped functioning earlier since the Red Unions had begun, from 1934, to merge with the reformists in the direction of forming the Popular Fronts. 7. After the 3rd Congress, the policy of the “United Front of the Workers” and the relations with social democracy constituted an arena of ideological struggle in the organs of the CI. The “United Front of the Workers” was interpreted correctly by some of the Communist Parties as a struggle for the development of a communist influence among the working masses and detaching them from social democracy. In other cases, it was defined as being a means of pressure from the bottom to change the line in the leadership of the parties of social democracy and the achievement of political collaboration from above. This interpretation was not justified. The struggle ended in the prevalence of a conception in favor of collaboration with social democracy and the non–exclusion of the participation or support of communists in bourgeois governments that was adopted by the Resolution of the 4th Congress of the CI (Moscow, November 7th – December 3rd 1922). The Congress accepted the possibility of the participation of communists in a workers' and peasants' government or a workers' government, that would not yet be a dictatorship of the proletariat, despite the fact that it did not consider it historically inevitable as a starting point for the dictatorship of the proletariat. 8. The 5th Congress of the CI (Moscow, June 17 - July 8, 1924) concluded that the essence of the slogan "workers' and peasants' government" was identical to the dictatorship of the proletariat, while giving special attention to the Bolshevization of the Communist Parties, which meant their development based on the Leninist principles of the Party of a New Type. Then the CI, through a contradictory course of alternation in its stance towards social democracy, gradually weakened the front against it, although the latter had clearly developed as a counter-revolutionary political force of bourgeois power. Thus, the right opportunist positions were strengthened in the ranks of the CI parties. 9. The discussion on the CI Program, which began at the 3rd Congress (1921), finally culminated in the 6th Congress (Moscow, 15 July - 1 September 1928). In the Program, the Leninist analysis was rightly highlighted that "Uneven economic and political development is an absolute law of capitalism" and therefore "At first socialism may be victorious in a few, or even in one single capitalist country " .However,itdistinguished three main types of revolutions in the struggle for the global dictatorship of the proletariat, based on the position of each capitalist country in the international imperialist system: 1. Countries of developed capitalism, in which it is possible foran immediate transition to the dictatorship of the proletariat. 2. Countries with an average level of capitalist development, where the bourgeois-democratic transformation has not yet been completed, in which it was considered possible for a somewhat rapid transition of the bourgeois-democratic revolution to a socialist one. 3. Colonial or semi-colonial countries in which the transition to the dictatorship of the proletariat required an entire period for the transformation of a bourgeois-democratic revolution into a socialist one. The international character of the epoch of monopoly capitalism and the sharpening of the fundamental contradiction between capital and labor were underestimated. Moreover, the analysis of the CIwas not guided by the objective fact that the uneven development of capitalist economies and inequal relations between states can not be abolished on the grounds of capitalism. Ultimately, the character of the revolution in every capitalist country is objectively determined by the basic contradiction it is called upon to resolve, irrespective of the relative change in the position of each country in the international imperialist system. The socialist character and the tasks of the revolution arise from the sharpening of the fundamental capitalist-labor contradiction in every capitalist country, in the era of monopoly capitalism. The character of the era was underestimated, as a period of transition from capitalism to socialism, and the ability of socialist production relations to give great impetus to liberating the development of the productive forces, as proven in the Soviet Union. Imperialism was mistakenly considered as a form of violent foreign policy of some - the most powerful - states, while within the imperialist system were dozens of countries (monopoly capitalism had been formed in both China and Brazil). At the same time, their characterization as dependent did not take into account the interplay of interests between the foreign and the domestic bourgeoisie. Another fundamental problem was that powerful bourgeois and political forces, already in power, engaged in the revolutionary process, as in Turkey, as well as the bourgeois classes of Morocco, Syria, and so on. The 6th Programmatic Congress of the CI correctly pointed out that "war is inseparable from capitalism." It was clear from this statement that "the “abolition” of war is only possible through the abolition of capitalism. "It urged the workers to "transform the war", which threatened to break out among the imperialist states, "intoproletarian civil war against the bourgeoisie for the purpose of establishing the dictatorship of the proletariat and socialism"
As to the nature of fascism, it estimated that it was a form of capitalist imperialist reaction under particular historical circumstances, "in order to stabilise and perpetuate its rule ... the bourgeoisie is compelled to an increasing degree to abandon the parliamentary system (. ..) in favour of a fascist system". Regarding social democracy, it stated: "It often plays a fascist role when the situation is critical for capitalism. In the process of its development, social democracy reveals fascist tendencies. " The above assessment was not correct. The reality is that, in opposition to socialist revolution, social-democrats played the role of 'extinguishers' at the discretion of liberal bourgeois governments, and allowed space for their alternation with fascist governments. 10.Previous to the 7th CI Congress (Moscow, 25 July - 21 August 1935), the CP of France and Spain, in agreement with the CI's Executive Committee, had called for cooperation with the Social-Democratic parties. After all, the People's Fronts in these countries had been formed in 1936 as a form of political co-operation between the Communist Parties and the social democratic and other bourgeois parties and opportunist movements, and took part or supported governments that did not challengecapitalist power. The 7th Congresscharacterized the upcoming Second World War as imperialist, but at the same time it gave priority to the policy of establishing an anti-fascist front. Indeed, it determined that the emergence of an anti-fascist government constituted a form of transition to workers' power. The 6th Congress's assessment of the character of fascism was replaced by the position that it constituted an "open terrorist dictatorship of the mostreactionary, most chauvinist, most imperialist elements of finance capital".It adopted the problematic estimation that within social democratic parties there was expressed a"revolutionary course", leading to the need to "unite the communist and socialist parties", provided that the latter would recognize the revolutionary overthrow of bourgeois sovereignty, the unity of action with the Communist Parties, the operation of a new party based on democratic centralism. The fact that the 7th Congress laid down the above conditions did not negate the essence: that this created illusions and a spirit of reconciliation, confusion and attenuation of the ideological-political front against social democracy and opportunism. Following fascist Germany's invasion of the USSR, the CI changed its position on the character of the war, defining it as anti-fascist, and stating that "... the basic strike is now directed against fascism ..."and that "at this stage, we do not call for the overthrow of capitalism in the various countries, nor for a global revolution (...) from this struggle we must not rebuff that section of the petty bourgeoisie, the intellectuals and the peasantry which leans openly in favor of the national liberation movement. Instead, we must win them as allies, and the Communists mustbecome part of this movement as its guiding core. " This position underestimated the fact that the character of the war is determined by which class wages the war and for what purpose, whether it is originally and at that particular moment on the defense or on the attack. The struggle against fascism and the liberation from foreign occupation, for democratic rights and freedoms, was detached from the struggle against capital. The contradictions in the CI's line on the character of the Second World War were also influenced by the aspirations of the USSR's foreign policy and by its attempt to defend itself from an imperialist war. However, in any case, the needs of the foreign policy of one socialist state cannot supplant the necessity of a revolutionary strategy for every capitalist country. 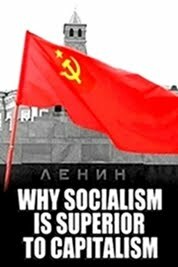 The ultimate security of a socialist state is determined by the worldwide victory of socialism or its prevalence in a powerful group of countries and hence, the struggle for revolution in each country. 11. On May 15, 1943, in the midst of the imperialist war, the CI's self-dissolution was decided on following a proposal by its Presidium that was ratified by all the CPs. It was justified by the estimation that it had fulfilled its historical mission as an international form of unity of the Communist movement. In the decision to disband it noted that since the 7th Conference the need had been underscored for the Executive Committee of the CI in resolving all the issues of the labor movement ""to proceed from the concrete situation and specific conditions obtaining in each particular country and as a rule avoid direct intervention in internal organisational matters of the Communist Parties..It also stated: "... taking into account the growth and political maturity of the Communist Parties and their leading cadres in individual countries(...) ”Proceeding from the above-stated considerations, and taking into account the growth and political maturity of the Communist Parties and their leading cadres in individual countries, and also in view of the fact that during the present war a number of sections have raised the question of dissolution of the Communist International, the Presidium of the E.C.C.I., unable owing to the conditions of the world war to convene the Congress of the Communist International, permits itself to submit for approval by sections of the Communist International the following proposal: To dissolve the Communist International as a guiding centre of the international labor movement, releasing sections of the Communist International from the obligations ensuing from the constitution and decisions of the Congresses of the Communist International. J.V. Stalin justified the self-dissolution, stating, among other things, that ".It exposes the lie of the Hitlerites to the effect that “Moscow” allegedly intends to intervene in the life of other nations and to “Bolshevize” them"
The decision to self-dissolve the CI was in complete opposition to the principles that served its founding. It was in contradiction with the spirit and the letter of the Communist Manifesto, with the principle of Proletarian Internationalism, with the need, under all circumstances, for a united revolutionary strategy of the Communist parties against international imperialism. It is a different matter to explore the organizational form that the unity of the International Communist Movement must have, its way of functioning and, of course, always on the condition of formulating a single revolutionary strategy. 12. After the Second World War, it projected the need for unitary action of the International Communist Movement against the united international counter-attack of imperialism. Its expression was in the formation of the Information Bureau (Cominform) by representatives of 9 Communist and Workers' Parties (USSR, Yugoslavia, Romania, Bulgaria, Poland, Czechoslovakia, Hungary, France and Italy) in Sklarska Poruba, Poland (22-28 September 1947) ). The founding meeting set itself the objective of exchanging information and coordinating action. In reality, the Information Bureau played a leading role in the International Communist Movement, although it could in no way cover the need for the formation of a new Communist International. It was dissolved in 1956, as a result of the right-wing opportunist turn (after the 20th CPSU Congress) and the crisis in the International Communist Movement. New, more relaxed forms of co-ordination of the action of the International Communist Movement were established later via the international conferences of Communist and Workers’ Parties, however these did not form the basis for a single revolutionary strategy confronting the international imperialist system. 13. Before the founding of the CI, the Socialist Workers' Party of Greece (SEKE, later KKE) proclaimed at its Founding Conference (November 17-23, 1918) that it "declares itself a section of the International, of theunited and associated parties of all the Countries that struggle for the overthrow of International capitalism and the triumph of International socialism. " The First National Council of SEKE (31 May - 5 June 1919) renounced the opportunist line of the 2nd International and instructed the CC to begin preparations for the Party's affiliation with the Communist International. SEKE, with delegate Dimosthenis Ligdopoulos, participatedin the founding of the Balkan Communist Federation (BCF) in January 1920 . The 2nd Congress of SEKE (18-25 April 1920) decided to affiliate with the CI, accepting its principles and resolutions. It also decided to add the term "Communist” to the party name, reflecting the new elaborations of strategywhich was linked with its intention to affiliate with the CI. A period of internal party struggle ensued with the forces that expressed a right-wing deviation within the party and called into question the revolutionary strategy of the CI, in the name of “national particularities”. In the end, the 3rd Extraordinary Congress of the SEKE (November 26 - December 3, 1924) decided on the unequivocal acceptance of the CI and BCFResolutions and the renaming of the Party asthe Communist Party of Greece (Greek Section of the Communist International). The KKE received significant assistance from the CI. At the same time, its ideological-political maturity was inevitably linked to the course of the International Communist Movement, since the CI functioned as a global party. The continuous changes - variations in the CI line (e.g. on the content of the workers' - peasants' government), the problem of its key positions and elaborations (eg the "left democracy" strategy and the categorization of countries in the 6th Congress) , had a negative impact on the formulation of its strategy. Whatever criticism of the CI is part of KKE's own self-criticism; it does not negate the history and its contribution; it does not negate the responsibility of every party - its section, towards the workers' - popular movement of its country and internationally. 14. At the meeting of the CC of the KKE (June 2, 1943), the Resolution of the Presidium of the EC of the CI on its dissolution was accepted. 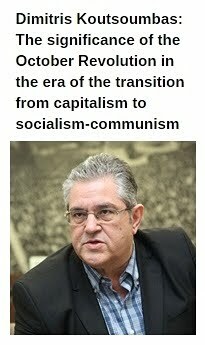 The Resolution of the CC of the KKE stated that "dissolution(...) is today the only appropriate act of correct Marxist policy. "Also, "the decision of the Communist International is the logical consequence and evolution of the line that it set itself in its 7th Congress" and that "dissolution removesevery obstacle to the consolidation of the national struggle". Later, the 7th Congress of the KKE (1-6 October 1945) adopted a resolution on the "international political unity of the working class". The resolution expressed the "wish to integrate all the working parties of the world who believe in socialism, regardless of color, into a new unified international political organization of the working class, as soon as possible." In essence, it viewed the issue on the basis of the common action of the CPs with Social Democrats in an International. 15. For the KKE, the issue of a comprehensive assessment of the strategy, course and self-dissolution of the CI remains open for further investigation. An important factor for the continuation of the study is the gathering of the necessary sources concerning the discussions in the CIOrgans, the Organs of the CP (Bolshevik), the bilateral discussions of the parties represented in the Executive Committee of the CI. The necessity of an international organization of the revolutionary workers' movement stems from the international character of the class struggle. The question of ideological unity and revolutionary strategy is a task for each CP, and the extent of its promotion is the great demand that we face today. 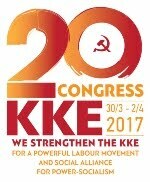 The 20th Congress of the KKE (30 March - 2 April 2017) confirmed "that the regroupment and development of the International Communist Movement is a permanent, steady task of our Party", "stemming from the global character of the class struggle". "The International Communist Movement is in retreat, it has difficulty reacting to the attack of the class enemy, which is carried out not only with repression, but also withideological-political means, with the influence of opportunism." 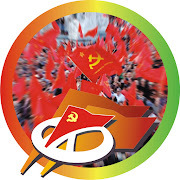 The KKE is developing initiatives to shape the conditions that will give impetus to the adoption of a common strategy of the Communist Parties through various forms, the European Communist Initiative, the "International Communist Review," while forming a Marxist-Leninist pole in the International Communist Movement remains a goal for our Party. The KKE is aware that "the process of revolutionary regroupment will be slow, tortuous, vulnerable and will build on the capacity of the Communist Parties to comprehensively strengthen themselves ideologically and organizationally in their country. Overcoming mistakes that dominated in the International Communist Movement in the past decades and are reproduced in various forms today. Building strong bases in the working class, in strategic sectors of the economy, reinforcing their intervention in the workers' movement”, will strengthen every CP, combining revolutionary action with revolutionary theory. The slogan of the Communist Manifesto: “Proletarians of the World, Unite!” is still timely. 20-ый съезд КПГ (30 марта - 2 апреля 2017 г.) подтвердил, что «реорганизация и развитие международного коммунистического движения является постоянной, неизменной задачей нашей партии», которая « исходит из глобального характера классовой борьбы». Что«Международное коммунистическое движение находится в стадии отступления, оказывается не в состоянии ответить на нападки классового противника, которые ведутся не только посредством репрессивных мер, но и идейно-политических средств, влияния оппортунизма». КПГ разрабатывает инициативы по формированию условий, которые дадут импульс для принятия общей стратегии коммунистических партий через различные целесообразные формы, как например, Европейская коммунистическая инициатива, «Международный коммунистический обзор», в то время как целью нашей партии остаётся создание марксистско-ленинского полюса в международном коммунистическом движении.